The annual salary of President Moon Jae-in was set at 225 million won ($211,320), up 5 million won from last year, as the Cabinet approved the personnel and management ministry's pay raise plan for public servants Tuesday. According to the plan, monthly wages for rank-and-file soldiers were raised by an average 87.8 percent. That's in line with Moon's campaign promise to increase the salaries of conscripts to half the minimum wage by 2022. 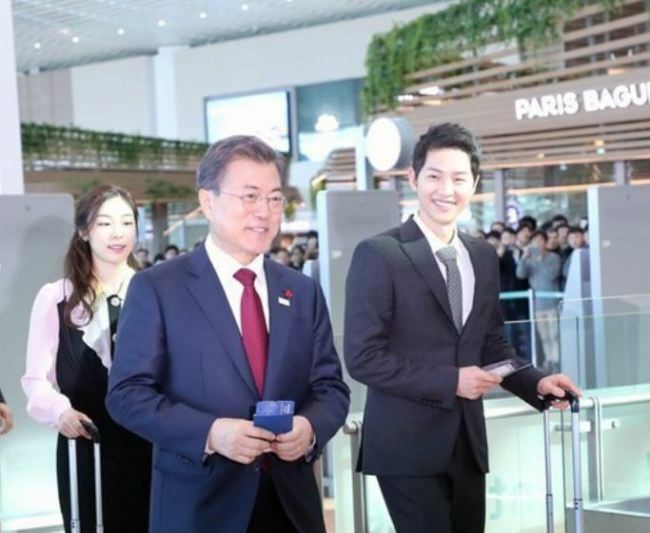 The salaries of privates, privates first class and corporals rose from 163,000 won to 306,100 won, from 176,400 won to 331,300 won, and from 195,000 won to 366,200 won, respectively, according to the plan. The salaries of ordinary public servants were also raised by an average 2.6 percent, while those of senior officials rose by 2 percent.